The brand messaging of your business, along with specific marketing messages, is what helps you communicate the complete essence and uniqueness of the brand to your audience, and get their engagement. But many businesses tend to get this wrong. 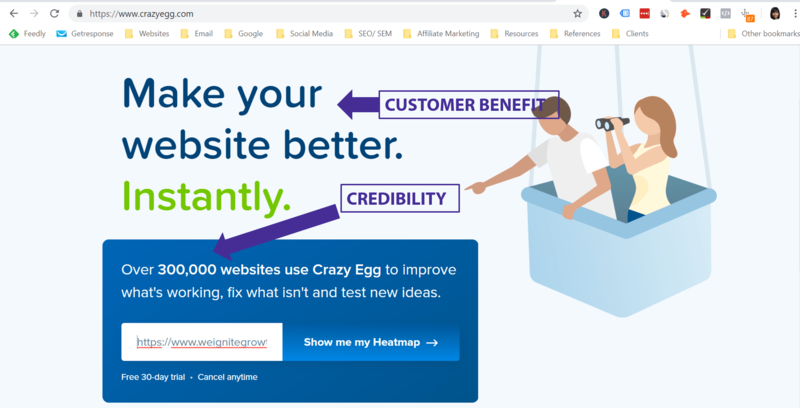 You can look at the homepage of a website, but have no clue what the brand does, how you can benefit, and what you have to do to sign up with the brand. Keep reading for a full guide to what brand and marketing messages really mean, how you can create them, and what's the most effective way to use them. A brand message is the communication used by a brand to share its promise of value and uniqueness with its target audience. It includes words and sentences that can be used across the website and other marketing materials of the brand. It is clear, authentic, solution-oriented, and inspires connection & emotion. 1. Communicate -> the details of products and features offered by the brand, to the most relevant audience, accordingly. 2. Provide value -> for the audience with content and lots of useful information and tips, through different marketing channels, that can help the audience TODAY. 3. Engage -> with the audience through different channels, answer their questions, and build a relationship with them. On the other hand, as mentioned above, brand messaging is the direct representation of the brand, at a higher level. It communicates the brand values, the story, the overall value proposition and promise. Marketing messages should uphold and encompass the brand message as well. As a brand, there are different kinds of messaging you need to create. You can also have an elevator pitch and a corporate presentation to share your brand messaging, but they are essentially a compilation of some of the messaging above. This is not an inclusive list, however. As and when required, brands can create other kinds of marketing communication. Your brand and marketing messaging strategy should comprise of different layers, in chronological fashion. You can't jump to the bottom tiers of messaging before you finalize the top arch messages. So the first step would be to create the primary messaging of the brand story: purpose, mission, story, etc. You can also think of this as the 'elevator pitch', but one that includes a more meaningful message, not just a list of products and services. Next would be the more concise positioning statement, brand promise and tagline, followed by clear brand attributes that sets the brand apart or that is most important to the audience. These are what define the brand. So crafting these messages is the absolute starting point. Only after this is done, move on to the more specific product/ service related/ engagement messages for each of your audiences/ personas. Remember the audience doesn't care about what products and services you sell, and what features they have. They only care about how these features benefit THEM. How their lives will be better. So your messaging framework should always focus on the value that your audience will have by engaging with your brand. Functional benefit -> This is the direct solution that the brand/ product can offer to solve the audience's problem or pain point. Emotional benefit -> People buy feelings, not things. When people buy anything, it's because they think they will feel better in the having of it. So try to indicate in your messaging how your audience's life will be better if they buy your product or service. Your audience shouldn't have to guess what your message is, or spend time on your website hunting for it. It should be direct, clear, upfront, and easy to find on all material. Any messaging you create should follow KISS: Keep it Simple and Short (also referred to as Keep it Simple, Stupid ;)) . Don't have too layered messaging, just say in easy-to-understand language the benefit for your audience, so they can easily determine if you're the right fit for them or not. Always try to maintain similar messaging across all platforms, both online, and offline. Whether it's brand or marketing messaging, your communication and brand should always reflect the uniqueness value proposition. Also ensure that you keep the same brand tone of voice irrespective of the type of messaging. Always try to communicate with your audience in a way that makes them feel understood. That you 'get' them, and can solve their problem and make their lives better. Target a specific, micro-niche audience. Understand deeply their lives, their specific problems, their shopping behavior, their goals and desires, and create a buyer persona. The more specific you can get about your audience, the better. You can have multiple buyer personas for the same brand, depending on the product, and your messaging for each type of audience has to be catered differently. But you should have one core brand message for an overall buyer persona, which brings together the common elements of all the individual personas. For example, see how Walmart talks about their buyer. Step 2: Build your unique value proposition. It is also called the positioning statement. How does your brand solve a specific problem, to achieve the desires. What is unique about this value? Build your specific niche. This is a part of creating your brand story as well. While you should also create the rest of your brand story, the key thing you have to identify is your unique value proposition. 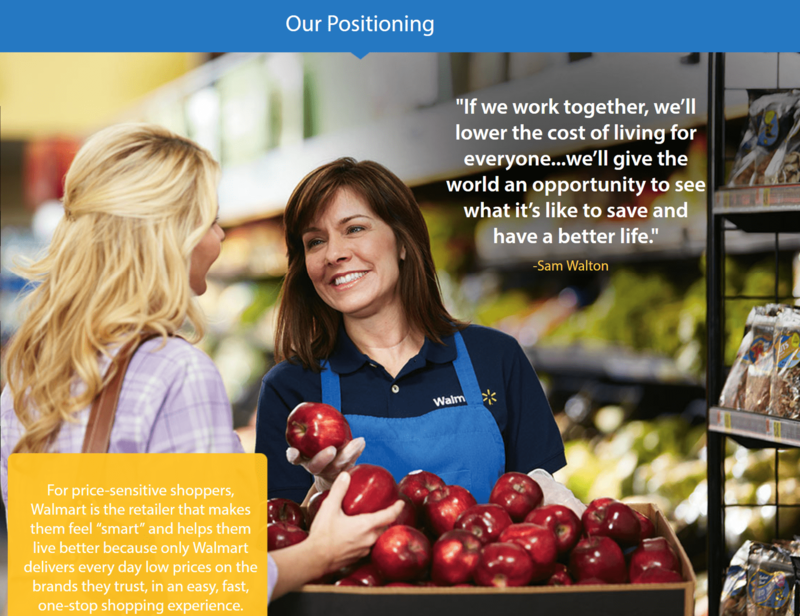 Unique value proposition: Only Walmart delivers every day low prices on the brands the shoppers trust, in an easy, fast, one-stop shopping experience. Step 3: Craft your brand story and messaging. Identify what your brand stands for, why and how it connects to you audience, design this identity, and build the 4 different kinds of messaging highlighted below. The competitive positioning of the brand, also referred to as the unique value proposition (mentioned above), or the positioning statement. Simply put, the unique value proposition or the positioning statement is a way that you can share in a nutshell what your brand stands for, with others. All of the above together constitute the complete brand story, and the core messaging of the brand. How to create your brand story? Step 1: Define the core essence of what your brand stands for. Step 2: Design your brand with the appropriate visual and language identity. Step 3: Message the brand identity in a way that connects to your audience. Where to use your brand story? A complete positioning statement, as described above, in one or two lines. It should include the basic value proposition: the brand features, and the benefit that the customer can get by using the brand. Sometimes it can also include the target audience or the credibility. A short, catchy statement. This generally leans towards the brand features, though in some cases it can include the customer benefit as well. How to create your brand promise? Step 1: Define the place where you audience is currently (facing a problem) - Position A. Step 2: Identify the place where they want to be (i.e., when the problem is solved) - Position B. Step 3: Look at your brand value proposition, and how your brand will help your audience reach position B. Step 4: Make the value proposition concise and to-the-point. Brand Promise: We deliver on time, across the world. You should focus on Position B (the ultimate benefit), not Position A (the unhappy situation). That should merely be implied. The brand promise is about the overall value of the brand, and is not focused on a product. FEDEX has multiple products, all of which have different, specific value propositions, but all adhere to the core message of 'The World on Time'. A brand promise can be both conversational, in the first and second person, or just a statement, in the third person. The most important thing is to clearly and directly communicate the brand value proposition. 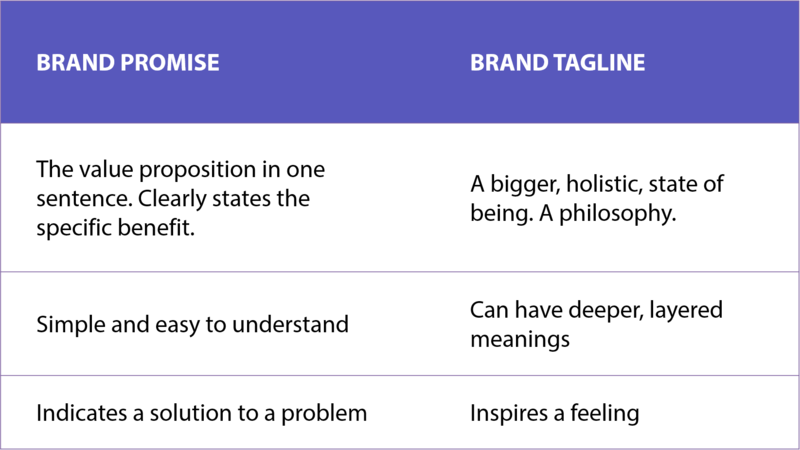 Where to use your brand promise? On your website homepage, as the first statements that your visitors read, to understand what the brand promises to deliver. A tagline is like a brand promise, but on a broader value level. Instead of the functional benefit, it indicates the state of being or the feeling that the brand helps you attain. This is how it's different from the direct brand promise. A tagline can go with the logo and/ or be used as a secondary message along with the brand promise. How to create a tagline? Step 1: Think about the brand values, what the brand believes in. Step 2: Imagine that your audience has reached Position B with your brand promise. How would they feel? Step 3: Make it an inspirational, life-related message. Step 4: Also speak directly to your audience, like a conversation, in the second person. Step 5: Narrow it down to a few simple words, no more than 5. Make it short, catchy, easy to remember. Where to use your tagline? Sign-off for the brand always, if possible. This will help in consistently inspiring a specific feeling in your audience, and build a connection over time. Additionally, as mentioned above, your brand promise can be your tagline and be used along with the logo. These highlight the most important features offered by your brand, and the uniqueness that you stand for, compared to your competition. In fact, these are the specific pillars (features) of your competitive positioning. Your pillars could also be your brand values, and how you do business. And that could be your differentiator as well. Step 1: Identify your key pillars that gives your brand that added edge. Step 2: Create a one-line statement to describe the pillar. Step 3: Provide evidence to support that pillar, if possible. In the above example, you can provide transparency about where you source your ingredients from, how you produce them, any certifications you have, etc. 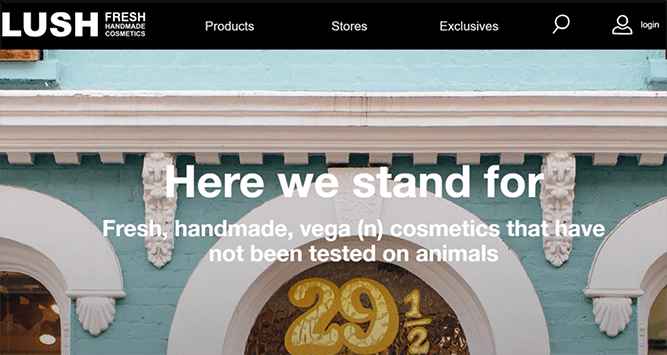 For the beauty brand Lush Cosmetics, they have their core pillars (values) displayed across all their website pages. You click on each, in the website, to get more information. Where to use your brand pillar messages? On your About Us section. Or across all pages, like Lush. Step 1: Identify the value proposition for each product or service that you offer. You might have one or multiple products. Identify what is special about each of them, what benefits they offer to each kind of persona, and how your audience can buy and use it. Step 2: Create a marketing plan and strategy for your brand as a whole or for specific products. Identify which target audience your strategy should specifically cater towards, what kind of marketing it could entail, and what would be the execution plan. Step 3: Identify the specific campaigns and messaging you need to create. Content. These are anything that adds value to the audience's life, and attracts them to your website or product. These are generally continuous and consistent. News and promotional messages. These are time-specific announcements and offers that may be a part of your marketing strategy, and thus you may occasionally need to create this type of messaging. But before you get started on specific marketing plans or campaigns, one core type of messaging you need to create are the descriptions of each of your products. See the brand positioning example from Lush cosmetics below. Their primary buyer persona are urban people who want to look good but also care about the environment. So in a nutshell, they claim to be very environmentally friendly cosmetics. Now see their product descriptions below. How to create product or service descriptions? Step 2: Acknowledge the benefit it delivers to the audiences, to your primary brand persona. Step 3: Ideally provide some evidence (credibility) of why the product can actually deliver that benefit. See the product example from Lush. 1. Concentrated pucks of shampoo that can outlast bottles of the liquid stuff. 1. Functional: You'll have gorgeous hair every time. 2. Emotional: Savings (you don't use so many bottles). Maybe you also save money, though it's not clearly stated. All of these uphold their core brand positioning and pillars. Which is why you ALWAYS need to determine the brand messaging first. Where to use product/ service descriptions? This is a very specific type of value proposition, depending on the products applicable to certain buyer personas. They state out the specific offers and promises for each kind of buyer, based on the products and features offered. How to create a specific positioning statement and promise? See the steps below, with examples from Active Campaign. Step 1: Identify all your different personas. Step 2: Write the specific benefit or promise that this specific audience can get. In this example, let's go to Marketing Teams. It simply positions itself as the next generation marketing tool, that helps marketing teams to improve customer experiences and conversions. Step 3: Show details of the promise. i.e., all the benefits in detail. I have shared an example below from this page, but there are many specific benefits also shown. Step 4: Show HOW so this goal and benefit can be achieved. Basically, in this case, it's by automating workflows. Step 5: Specify all the tools available to make this happen (going back to product features and descriptions). And all of this is specific to ONE persona. You change the audience, and the messaging will be completely different, targeted to the needs, pain points, triggers, and desires of THAT specific audience. Where to use your specific positioning statement and promise? You can also use this messaging in your brochure and brand presentations, but try to find a concise way to do that. Otherwise it becomes too overwhelming and not as impactful as it should be. Content marketing is a complete messaging strategy in itself. It includes the most effective, helpful, engaging ways, in which to connect and engage audiences. Needless to say, this is specific to buyer personas as well, depending on the benefit the brand promises them. 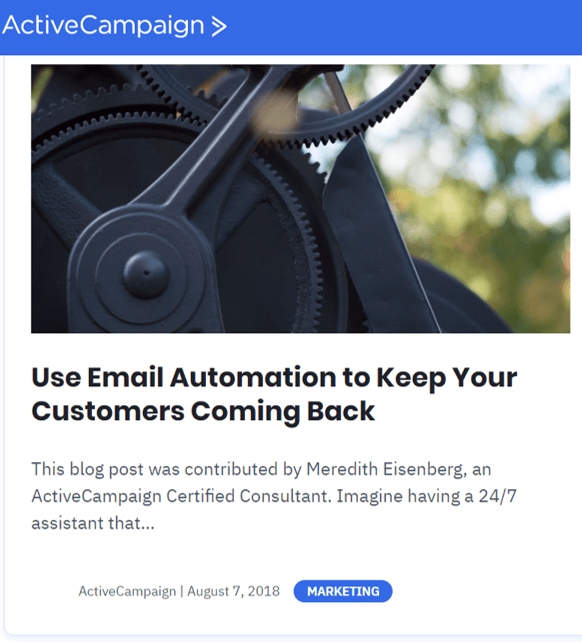 In the above example of Active Campaign, as the company promises to help marketers with automation, a valuable content piece would be how to use the automation effectively. Lead magnets are usually more in-depth information and value that the audience can sign up for. Emails: These are the personalized, targeted communication that the brand can send to their audience periodically, to create engagement.e.g. to drive them to the website. Of course, this is also not a comprehensive list. There could be many other types of content as well. How to create content marketing? Where to use content marketing? How to create news or promotional messages? Where to use news and promotional messages? First of all, don't get overwhelmed by all the messaging you need to create. Just start at the top brand tier, build your brand, and slowly move down to create all the messaging. 1. 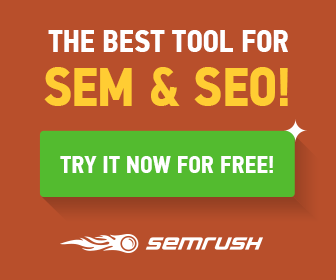 Make your website and content keyword optimized and SEO friendly as much as possible. 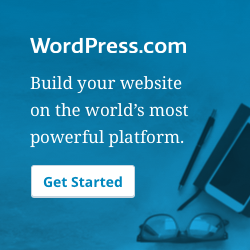 So for each page, blog post, social media content, etc., apply on-page and off-page SEO techniques to help your site rank on the relevant search engines. 2. Try to provide a call to action after every message/ page. If your readers just read your blog/ product/ event description on your website, social media, etc., and you don't guide their journey with a call-to-action, they might leave your page no matter how engaged they were. Invite them to take action. Some examples could be to sign up for a trial, buy a product, visit a store, redeem a coupon, or simply Know More. Some examples are: cheerful, confident, creative, courageous, exciting, fun, happy, inspired, hopeful, playful, passionate, vibrant, terrific. These connect with people at a subconscious level, and helps them to feel more attracted and connected to your message. It's not enough just to create messaging that glorifies your brand. You actually have to be able to deliver all that your promised, consistently, otherwise you won't be able to build a sustainable brand identity in the minds of your audience and they won't trust you.